Conditions Show "Field Deleted" And Changes On It Are Not Saving? You can revert back to an earlier version of the form where the field was not yet deleted. 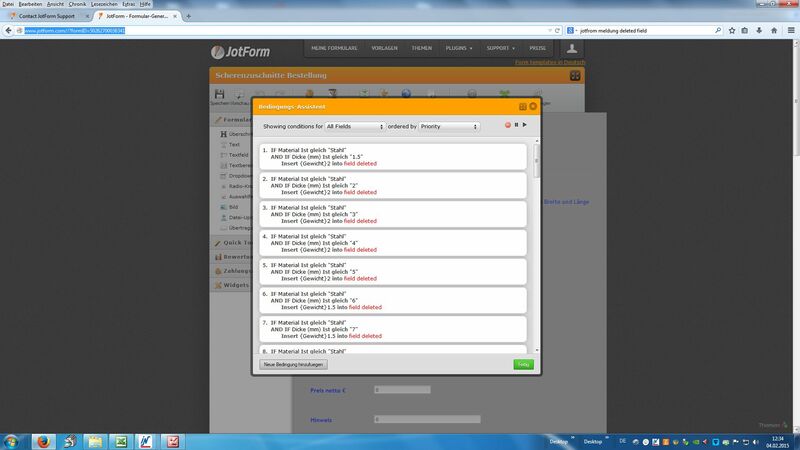 You can check this guide: http://www.jotform.com/help/294-How-to-View-Form-Revision-History. Based from you form, it seems that only one field is deleted, is that correct? You can just add the field again and it should show in your Conditions as long as the field name and field type were the same. Upon investigating further, it seems that this is a bug in the Conditions function. I'll escalate this immediately to our developers and back end team so that they can take a closer look. We'll update you immediately when we hear any news.